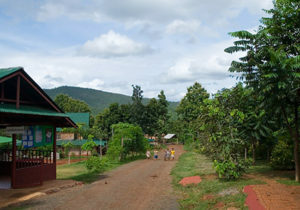 School for Life Chiang Mai (SfL) was founded and established by Prof. Dr. Juergen Zimmer and Thaneen “Joy” Worrawittayakun in 2003. The school is located in the mountains of Doi Saket, a serene environment in the middle of secondary growth djungle, about 30 kilometres north of Chiang Mai in northern Thailand. SfL provides a home and education to children in difficult circumstances. Currently 140 such children have found a new home here and many more from around Thailand would like to come and join. The School for Life also creates jobs for local people, providing employment in farming, civil works or child care activities. Following the community development approach, adults are included in project work which target local key issues such as recycling or organic farming. 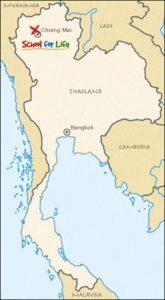 The visit of the Thai Crown Princess, HRH Sirindhorn in 2005, has intensified the growing positive relationship with the Thai Ministry of Education and the provincial Government. UNESCO has assessed the concept of the School for Life to be a “…much needed world-class innovative effort in the field of education” and a “new standard of educational excellence for the world community of the 21st century”. In order to secure the wellbeing of the children we depend on the generous support of companies and individuals. We seek partners that not only help us cover current monthly expenses but also join us in securing recurring expenses over a longer period of time. Only if we can achieve stable and ongoing support from sponsors we will be able to open our doors for more children. Currently there are many other children that would like to join our school, not only to receive an education but to find a home as well.